Virginie has a fascination for the visual strangeness surrounding pools and enjoys exploring characters through costumes, postures and a strong, limited colour palette. Her style is bold, striking and very recognisable for all the right reasons, with great understanding of layers, light and graphic expression. Virginie explains: "I like to capture bodies floating in blue as well as old-fashioned suits and vintage caps. 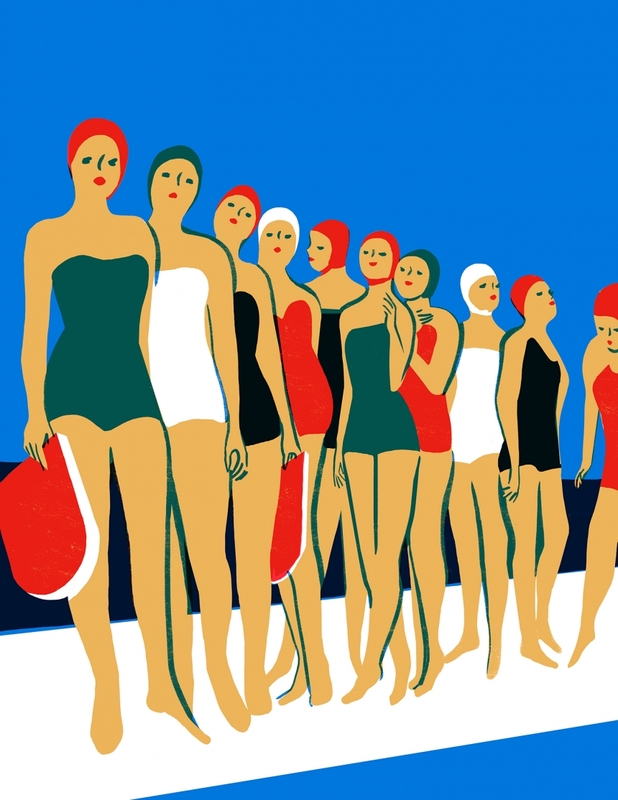 I like the primary colours in Olympic pools and, because of the transparency of the water, I enjoy layering tones in the screen-printing process." The project was a personal exhibition in O! Galeria in Portugal and at Slow Gallery in Paris.